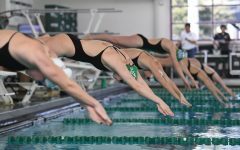 Thus far, the 2018-19 season has not been kind to Tulane swimming. 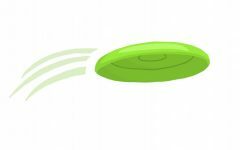 The Green Wave fell to the University of Houston and three of its opponents in the University of Denver’s Dual-A-Pool-Ooz. This opportunity looks to be just around the corner for the team as it gears up for matches against Louisiana State University and Loyola University-New Orleans this Friday, Oct. 26. 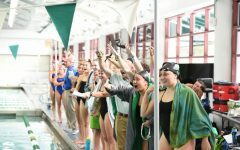 While the Wave’s current record may not accurately depict it, the team has several swimmers looking to make an impact in their upcoming events. Sophomore Kate McDonald, one of these athletes, is coming off a stellar performance at Dual-A-Pool-Ooza. McDonald captured titles in the 200 breaststroke, 400 IM and 200 freestyle, further solidifying her standing among the team’s core. 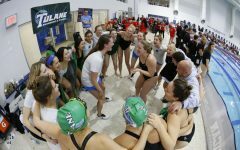 McDonald, however, was not alone in her dominance at Dual-A-Pool-Ooza; junior Olivia Johnson sustained yet another astounding outing for Tulane. 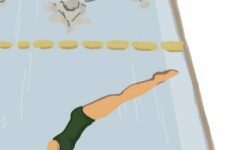 At the event, Johnson captured the 200 IM, 500 freestyle and 200 freestyle in addition to several other top-tier finishes. Johnson’s accomplishments, alongside the recent performance of partner-in-crime McDonald, have drawn praise from Head Coach Leah Stancil. The team will be looking to transfer maintain this momentum at its upcoming matchups with Loyola and LSU. Loyola currently maintains a 2-3 record, with two team victories over South Georgia State College and Thomas University. The Wolfpack last matched up with The Savannah College of Art and Design, which it fell to by a score of 79-182. LSU, on the other hand, boasts wins over two renowned opponents: the University of Connecticut and Navy. 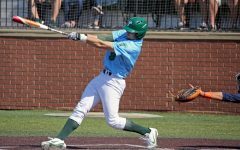 While the Tigers struggled in its more recent tussle with the University of Florida, the team has proven in fact to be quite formidable and should be a major test for the Green Wave. Based on history and current trends, Tulane will likely finish second in this event: behind LSU, but still ahead of Loyola. Regardless of past performances, each team will be gearing up for Friday’s contest with diligence. Competition is set to begin at 5 p.m. in the Reily Student Recreation Center Natatorium.